Spend Less Time Cleaning and More Time in the Water! At Take 10 Pools, we know how important it is to have a clean and refreshing pool throughout the year. We also know how time-consuming it can be to regularly clean and maintain a pool, and we want to free up your schedule so you can enjoy more time in the water. 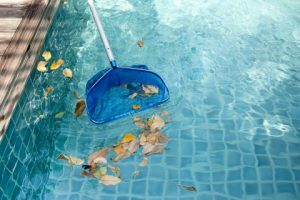 Read more about our Phoenix Valley pool cleaning and maintenance services below, and give us a call if you’re ready to schedule an appointment! What Makes Take 10 Pools Different? We handle chemicals, cleaning, troubleshooting, and more! We treat your pool like it’s our own! How Can Our Pool Maintenance Experts Help? 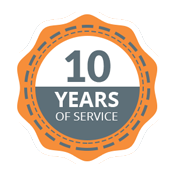 Take 10 Pools is proud to offer a variety of pool maintenance services in the Phoenix Valley area. We know that pool cleaning can take a significant amount of time out of your day, and we want to help you spend less time surface skimming and more time making a splash with your friends and family. We can do everything from algae cleaning to step vacuuming and wall scrubbing, and we can even schedule regular cleaning sessions to make your life that much easier. Do you need pool repairs? We know how frustrating it can be when a component isn’t working like it once did, or when something stops working altogether. We can repair and/or replace anything that stops working, and we’ll work quickly to restore your pool as soon as possible. Is your pool showing its age? Whether your steps have begun to crack or the bottom is becoming worn and rugged, investing in pool resurfacing can breathe new life into the entire space. Maintaining your pool shouldn’t make you work harder than you already do. Get in touch with Take 10 Pools today to learn more about what we can do for your pool!